Job hunting and starting a new job are both nerve wracking at the best of times however if you have a disability, health or mental condition the process can be ever scarier. Whether you are worried about disclosure, introducing the need for adjustments, how the job hunting process works or simply finding a job there are a range of organisations and schemes to help you into employment. Any employer can sign up to this initiative. Displaying the Two Ticks symbol recruiters demonstrate a commitment to meeting the needs of disabled employers. Being part of this scheme means that employers must interview all disabled applicants who meet the minimum entry requirements and ensure that if hired disabled people have an appropriate working environment for them. You can find out if the employer is part of the scheme by visiting their website. Just so you know the University of Manchester is a Two Ticks employer. 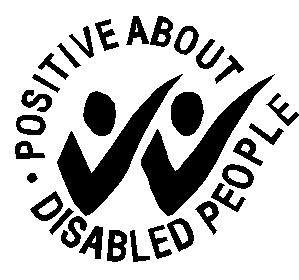 Organisation working with disabled people and employers to achieve equality and inclusion. Their employment services aim to provide solutions and support for disabled people in order to fulfill their work aspirations. They create work tasters, work placements and voluntary opportunities for disabled people to build skills. They can also provide support making Access to Work applications. An employment service supporting disabled individuals towards work. Those with disabilities, health concerns or mental problems can use the resources on the website and receive advice and guidance on getting into and staying in employment. National charity which helps disabled people into work, gain skills and take control of their future. Once a referral has been made the charity can provides careers advice and support to job seekers as well as financial guidance if needed. Provides those with autism a support service and assistance finding work. One to one mentoring aimed at assisting those with autism gain time management skills and an ability to prioritise and structure workload. The society can also provide assistance in developing social skills, strategies to manage anxiety and job seeking. Small Manchester based charity which offers support to adults with ADHD (Attention Deficit Hyperactive Disorder). Provides peer support, referral, advocacy and psychotherapy. Remember that as recent graduates the careers service can also be of assistance to you. Read our guide ‘Employment support & disclosure for disabled students’ for advice and book an extended hour long careers guidance appointment with a specialist careers consultant.